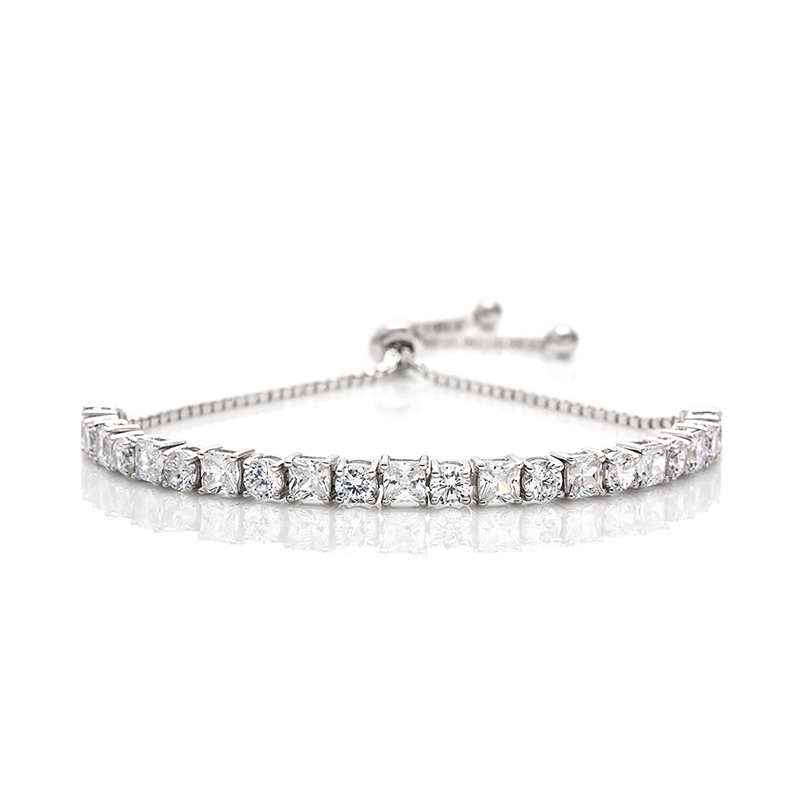 A stylish twist on the classic tennis bracelet with a unique easily adjustable toggle clasp, giving the wearer the flexability of size. 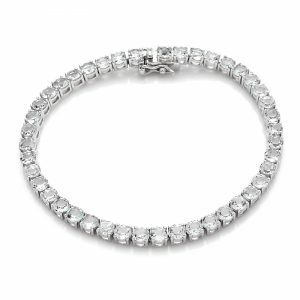 LEANNE -Classic Tennis Toogle bracelet is set with 11 PRINCESS cut stones measuring 4mm each & 12 ROUND BRILLIANT cut stones measuring 4mm each. 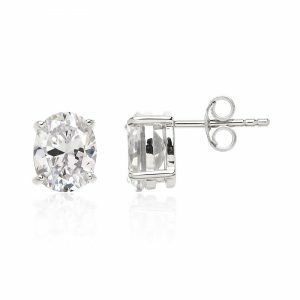 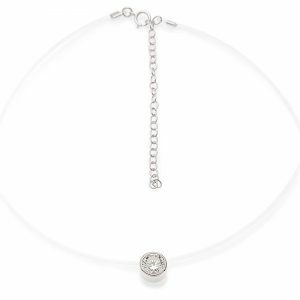 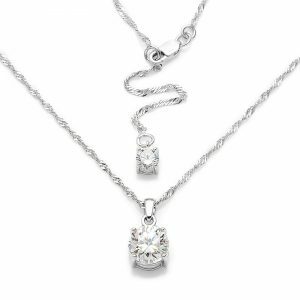 As with all of our jewellery our diamond simulants are set in sterling silver which is rhodium plated in white gold, our signature finish.